1. Finally the “Second Life User Guide” I made is on the web now.http://www.inaea.org/post/2009/04/30/Second-Life-user-guide.aspx This user guide includes from the most basic skill to advanced building tips. Everyone is welcome to download and use it for yourself or for your class. If there is any mistake or unclear explanation, please let me know. 2. InAEA website has the RSS and newsletter functions. If you are a member of the website, you will automatically get the newsletter. If you would like to unsubscribe the newsletter, you can just contact with me, I will help you with this issue. 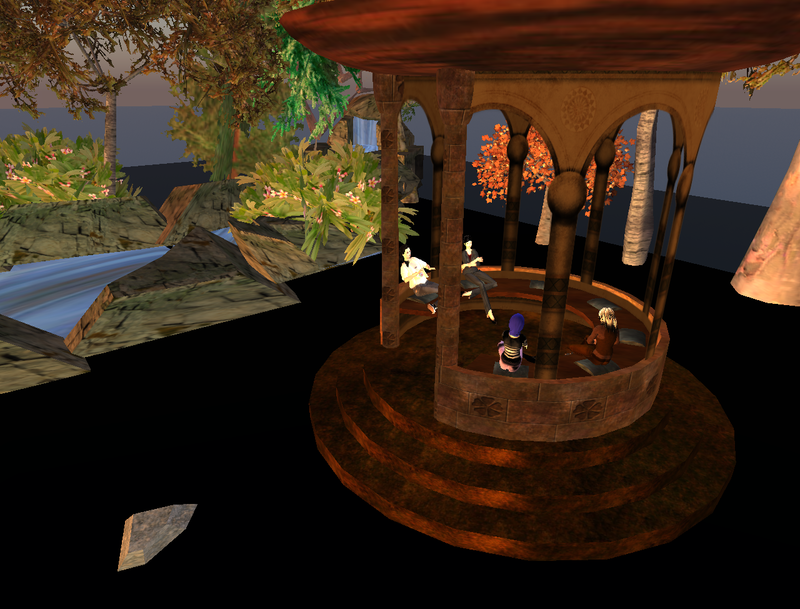 This time we have our meeting at InAEA sky garden (http://slurl.com/secondlife/Dace/114/232/367). We discussed about what happened and what we felt about the NAEA conference this year. We all agree that we saw some marvelous presentations. Leesa mentioned about she saw Lisa Kasy from NIU presented her dissertation in part. Which is about negotiated curriculum. We also enjoy the opening performance: the Spontaneous Fantasia. Also there are more globalization issues had been discussed. Also the wikispace that NAEA provide this year is really helpful too (http://naea.wikispaces.com/). NAEA really use the technology very well this year. They were really on the spot to help out. There are many technology and museum categories presentations this year. We discussed about there are not many presentations are about Second Life. Total number of presentations are 5 that mainly focused on SL. There are still many art educators have no idea about what SL. We also discussed the possibilities of using SL in art education in the near future.